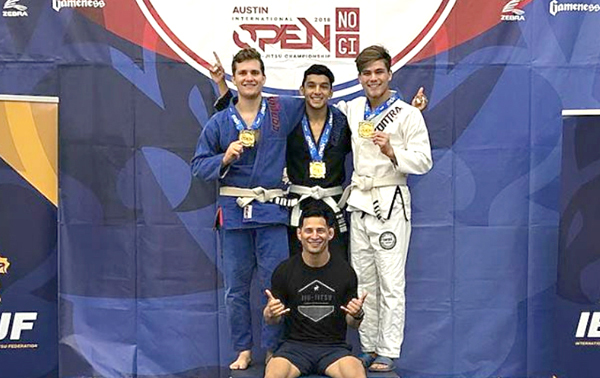 Three Los Fresnos students were recognized for their preparations and success at international highest level of Brazilian Jiu Jitsu Competition, part of the world wide International Brazilian Jiu Jitsu Federation. The students traveled to Austin last weekend and all came in 1st. They train at GGHA Ohana in Los Fresnos. Now they are on their way to continue to gain recognition and the goal is to get them invited to compete in an Abu Dhabi IBJJF tournament where you compete for kings and princes.